Honda dirt bikes for sale, buying Honda dual sport and scramblers. Buying a Honda - Why buy this brand of bike? You will see many adverts for Honda dirt bikes for sale in your local area. When buying used, check the bike over and you must test drive it, to check if anything rattles or is loose on the motorbike. Ask many questions and see if the seller has looked after his Honda, and any receipts for parts are useful, as that’s proof of good maintenance. If your still not happy walk away, there are many bikes out there, so don’t buy the first thing you see. Ideally if you have the money buy new, as warranties will cover you and you'll know, no one else has abused the bike. Honda dirtbike dealers have sales on all the time in todays climate. No matter if you need a honda 150cc dirt bike or some smaller dirtbikes for your kids. Honda off road racing using the reliable honda motor has been used by riders for many years - so you know your getting a pretty bulletproof machine. You also have the added advantage of buying MX tuning accessories and a huge off road spares bin for all the Honda dirt bike classes. The honda dirt bike engine is superb and takes a ton of off road trails abuse. Some motocross shops specialize in the Honda brand, and this dirt bike should last you a long time. Of course a honda "used" ride is where the bargains really fall into place. From a 100cc honda dirt bike to 50 cc dirt bike bargains - Tour with us on the dirt bike sites you should be visiting, to find your elusive honda dirtbike bargain of the year. Gumtree.com have all kinds of off road parts and dirtbikes for sale as well as Honda bikes for sale. The website is amazing for getting down to a local level search. Nearby to us we located a 110cc MX Bike for around £300, it was an unwanted Honda present, and the seller was getting rid of it far below the price paid. Also another honda dirt bike (a cr80 motocross bike to be exact), was being sold for only £700 – or possible swap could be arranged. This was a 1998 to 1999 model, but the pictures of the MX bike looked clean and the bike had obviously been looked after; the rider was looking to upgrade to a much more powerful honda bike. 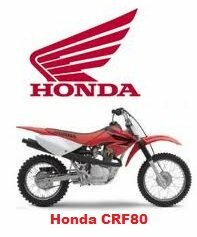 You can find tons of Honda dirt bikes for sale here, but look at least once a week on this site. Tips about the used Honda dirt bike. Often forgotten are off road vehicles forums such as pitbikeclub.co.uk to dig out Honda dirt bikes for sale. 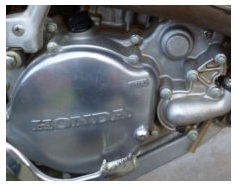 A member had put up for sale their Honda ATC 70 motocross bike. Offers and a swap could be done – however it was only 99% complete. Which isn’t an issue if you know your way around a mx bike, but do confirm with the seller what is required to complete the bike. They’ll be more than happy to tell you – so be truthful about your mechanical abilities before buying an incomplete Honda dirt bikes for sale ride. If you are good with off road bikes and their oily bits, the bargains REALLY are tremendous. 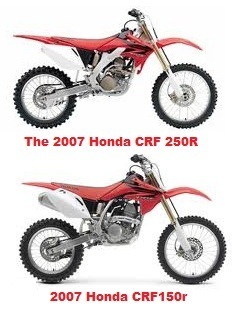 Mxchange.co.uk follows next for finding good Honda dirt bikes for sale; it’s an obvious choice as the whole website is easy to use. Great for drilling down to find certain motocross models and specific cc’s of motorbike. 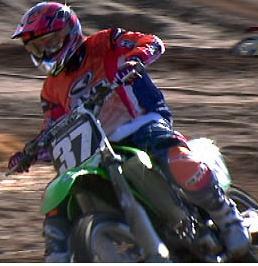 Here we uncovered a 2005 Honda CR 85 2 stroke dirt bike. Priced at £1,000, and in excellent condition. Or would you like a 2007 Honda CRF 250 4 stroke machine for around £2,000? Inclusive with G-force suspension and a carbon sump guard, new piston and chain and sprockets and it's always been serviced at correct intervals. What more could you want! Always do all your checks for possible stolen dirt bikes and be sure they are legal dirt bikes for the road - should you be riding your motocross bike on the highway. 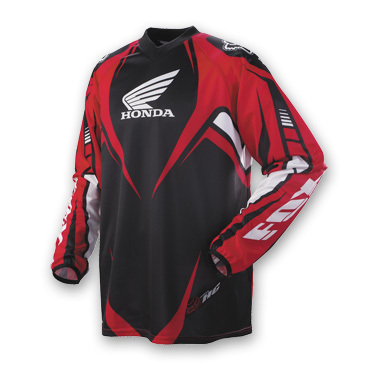 If you prefer an off road challenge thefind.com searched over 4,004 products from 392 stores for “Honda dirt bikes”. We didn’t get any complete off road bikes this time, but the site did turn up a 22mm CARBURETOR for a HONDA CRF50, XR50 and CRF70 priced to sell at $29.25. 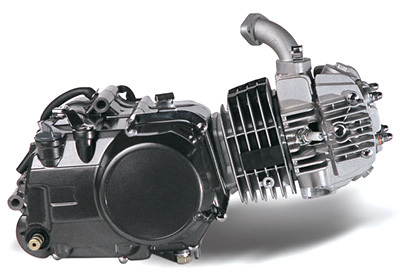 All items on this site come with a brief description and the website should be suitable for locating things like - childrens honda toy dirtbikes or a muffler for a honda MX motorbike you already have - and more besides! But do keep checking back for Honda dirt bikes for sale, as you may not always get what you want first time round. Ridemx.co.uk was our final destination to get some real good Honda dirt bikes for sale . Ridemx had a 250cc Honda (2005), priced at £1995. Selling at a reduced figure the offroad bike had new plastics, bills and a new exhaust plus the pics of this Honda model looked stunningly good. A Honda CRF 150 SW (2007) coming in at £1999 was also seen. Having very little use. This mx bike was almost in showroom condition. If you’re seeking a Honda unlimited adventure for cheap bikes, keep your options open and use some of our recommended websites. There is a Honda dirt bike for sale with your name on it. We all know that honda used motorbikes are cheap and rugged. But what about the honda dirt bike engine? Well the good thing is, not only is it a reliable lump – (unless its been badly ragged by a previous owner) – but the honda spares bins are almost limitless. Also a wisely bought honda dirt bike accessory will give you an extra touch of improvement in your ride. If you feel the engine might need replacing, remember it will cost you – but if the rest of the bike is mint – (and it’s not a rare vintage model) – it’s your call. Do some quick searches online for the price of a new engine, before you buy your used Honda, then it’ll be easy to guess your overall budget for the Honda bike. Honda dirt bikes for sale (used) - are the best buy on the net.